Theodore Wirth Home and Administration Building	Wirth resided here throughout his tenure as the Minneapolis park system’s longest serving superintendent. Theodore Wirth Home and Administration Building was listed on the National Register of Historic Places on June 7, 2002 because of his impact on Minneapolis parks, and how this in turn influenced park planning for municipal, state and national parks across the country. 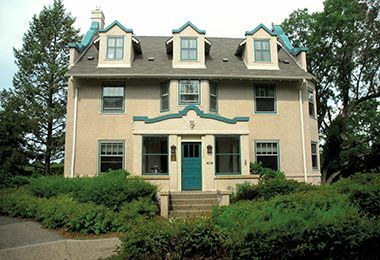 Minneapolis Parks Legacy Society is providing public tours of the house from August through mid-December, 2018; call 612-275-8884 for details. It is noteworthy that Smith’s report for 1905 was written after the park board had hired Theodore Wirth to replace William Berry as superintendent of parks beginning in 1906. Wirth had been convinced to leave his job as superintendent of parks in Hartford, Connecticut by Charles Loring, who was acting as a special committee to find a replacement for Berry. Wirth later claimed that one condition he and Loring had agreed to verbally was that the Minneapolis park board would provide a house for Wirth—a perk that Wirth enjoyed in his Hartford job. The suggestion by Smith, who had also traveled to Hartford to interview Wirth, that the board should build a house for the new superintendent indicates that he may have been party to the verbal agreement between Wirth and Loring. But that agreement is not a part of the public record. That the subject was introduced so circumspectly suggests that the board anticipated such an agreement might be controversial. Wirth advocated extending the park board’s property south, not only to provide land for his house, but, he wrote, to connect the farmstead to Lyndale Park, which began only 200 feet southwest of 40th Street and King’s Highway. Then came the conflagration. On March 2, 1908, a fire consumed the larger of the old King barns at Lyndale Farmstead. Along with it went much of the park board’s machinery and supplies. The need to construct a new warehouse perhaps provided the opportunity to expand the park, upgrade its facilities—and build a house for the superintendent. On May 4, 1908, only two months after the fire, the park board reported that Charles Loring, who was no longer a park commissioner, had assisted in the acquisition, by donation, of land to expand the park to the south. Loring had convinced James J. Hill of railroad fame and Thomas Lowry, who built the city’s streetcar system, to donate land from King’s Highway to Bryant Avenue between 39th and 40th streets. Lowry and Hill asked in return that they be reimbursed for their expenses and the taxes they had already paid or still owed on the property, which came to a little more than $13,000. The donation expanded the park by more than eight acres. The donation also included most of the block south of 40th between Colfax and King’s Highway. Curiously, the park board’s annual report for 1908 didn’t mention this significant new addition to park board holdings of nearly three square blocks of prime real estate. And the acquisition of the land was never listed by the park board as a donation, but as a purchase—and the money paid to Hill and Lowry was recouped by the park board through assessments on nearby property. Why was this important acquisition never mentioned in park board reports? And why was Charles Loring involved? It could be that Loring was delivering on a verbal agreement he had made with Wirth to provide a house for him, and this was the location needed. The park board was going to have to construct new buildings on the property to replace the burned-down barns. Perhaps Loring saw this as an opportunity to get a house he had promised thrown in at the same time. Perhaps that is why he went to his friend Thomas Lowry to get him to donate the land. And perhaps the park board never mentioned the acquisition because commissioners knew that it would not be used for a park, but for a residence for the superintendent. Even park board proceedings noted that the land was acquired for “additional grounds for nursery and other purposes.” (Italics added). The park board had the land to build a house for Wirth, but the house still wasn’t being built. Wirth reported in 1908 all the details of a new three-story warehouse and shop building constructed on the Lyndale Farmstead site. One side benefit of the new buildings, including greenhouses, was that in the fall of 1908 the park board held its first Chrysanthemum Show for the public at the Lyndale Farmstead greenhouse. Wirth reported that 6000 people attended the show. The mum show became a staple of the park board’s autumn calendar, continuing through 1975, with interruptions for depression and war. While the park board did maintain nursery facilities on the grounds for many years, the bulk of nursery operations were moved to Glenwood (Wirth) Park in 1910 after additional greenhouse space was added at Lyndale Farmstead. But plans for a superintendent’s house were moving forward. In December 1909, Theodore Wirth asked the board to “construct a house, according to the plans submitted, for the use of the Superintendent of Parks.” The request was referred to a joint committee on finance and improvements, with power to act, which meant that the request would not have to come before the full board again. The “plans submitted” were apparently the designs for the house prepared by architects Long, Lamoreaux and Long. In February 1910 the joint committee recommended a contract with a builder to construct a house for the superintendent to specifications developed by the architects. The contract was for $6,800. Park board proceedings noted that park board employees would lay the foundation for the building, and that heating, wiring, plumbing, tiling and hardware were to be provided under separate contracts or by park board workers. The total estimated cost of the building, the report said, would be within the estimate of the superintendent and the architect of $10,000. The controversy that the park board seems to have been trying to avoid over building a house for the superintendent—and had put off building for four years—flared almost immediately. Two weeks after the park board approved the contract to build the house, the city comptroller, Dan Brown, informed the park board that he would not sign the contract because, in his opinion, the proposed expenditure of city funds “for the construction of a house for the Superintendent of Parks” was illegal. At that point the builder who had been contracted to build the house stepped in and sued Brown to force him to sign the contract. Brown’s refusal to sign the contract was upheld in district court, but upon appeal to the Minnesota Supreme Court, in a divided opinion the justices ruled that the park board did have the authority to build the house and instructed the comptroller to sign the contract. From that time forward the house was referred to as an “Administration Building,” not a house. Never again in park board proceedings, including itemized bills from some suppliers, was the building referred to as a residence. Most of the money paid to the contractor for the residence was lumped in with the same contractor’s invoices for constructing the recreation shelters at North Commons and Jackson Square that year. Once the residence was built, the park board relented a bit on how it described the building. The 1910 annual report of the park board includes a photo of the house captioned “Lyndale Farmstead—Administration Building.” Park board President Wilbur Decker, however, made a bow to reality when he described the building as “an administration plant and residence for the use of the Superintendent.” Decker commented that the building provided “a much needed addition to our equipment that will not only make for better service, but which will constitute a permanent asset of considerable value.” He cited the total cost of the building as $13,244. As far as the park board was concerned, that was the end of it. The two “administration” rooms in the walk-out basement—in reality Wirth’s home office—were used to define the three-story home above them. 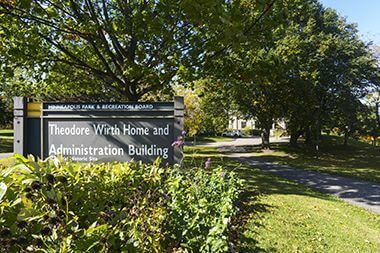 The pretense of an administration building to justify a private residence in a park was exposed a bit the following year when Wirth requested permission to keep a cow, a pony and chickens on the property for the use of his family. The board granted that request. The charade of an administration building was not continued when Wirth finally retired in 1935; he remained in the home for another ten years as superintendent emeritus until, in 1945, he moved to San Diego for health reasons. Wirth’s successor as superintendent, Christian Bossen, never lived in the house, and presumably made do with an office only at city hall, because he retired in the year that Wirth vacated the house. 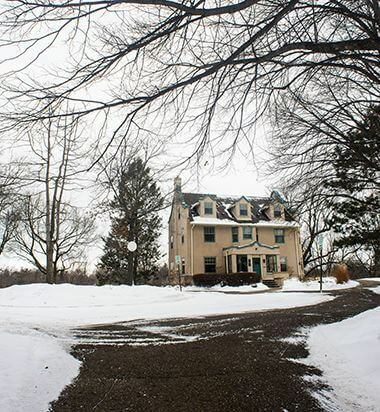 With a house built for the superintendent and greenhouses completed in 1910, the campaign for more facilities at Lyndale Farmstead did not end. Over the next several years Wirth urged the board to build laundry facilities for washing the towels and rented swimsuits from the Lake Calhoun bath house and linens from the refectories at Lake Harriet and Minnehaha Falls, a “show house” for flowers, a second equipment shed, even a cottage for the shop foreman. Wirth’s plan for the property in the 1913 annual report included all those things, and it showed an outline of the old King farmhouse, which was to be removed. It showed no recreation spaces, but in 1914, two tennis courts were installed at the corner of 38th and Bryant in what was the first effort to have the park property serve the immediate neighborhood—which had paid assessments for the acquisition of land for the residence. Sometime in the late 1910s the park board also created a small ball field near 39th and Colfax. That space was included on a list of park properties that were provided skating rinks in 1918. In 1917, still without a laundry, Wirth encouraged the board to sell the land south of 40th Street between King’s Highway and Colfax to pay for better facilities at the Farmstead. He noted then that one of the old barns still on the property was the “worst kind of fire trap.” He was prescient. In 1920, fire destroyed the old buildings that had survived the fire of 1908, which prompted Wirth to create a new plan for the property. It included detailed plans for new buildings, as well as other recommendations for improvement: fill the pond on King’s Highway (although it had been featured in earlier Wirth plans for the property, he now called it a “land-locked swamp”), provide tennis courts and lawn games at Bryant and 38th, enlarge the ball field near 39th and Colfax, and finally, once again, remove the old King home. Shortly after Wirth’s 1920 plan was published, the owners of the old King farm house, no longer the King family, came forward with an offer to sell. The acquisition had been “given consideration for years,” the board noted, but until that time the owners wouldn’t sell. They finally did, and for $4,500 the last two lots of the park were purchased. The sellers were given six months to remove the old King house. There is no record in park board documents of whether the house was moved or demolished. Apparently unsuccessful with his plea to sell the block of Lyndale Farmstead south of 40th to pay for a laundry, in 1921 Wirth encouraged the sale of those same lots to pay for building a new pavilion at Lake Harriet. (This time not over the water, he wrote.) He estimated that the sale of those lots would bring $35,000. Protests about the appearance of the grounds did have an impact, however, because Wirth’s 1924 plan showed a fenced enclosure of the warehouse yards, plus twelve tennis courts along 38th, the ball field enlarged to “full size,” and a playground in the “wooded grounds” west of the superintendent’s house. In his annual reports Wirth kept up the pressure to add warehouse space to the farmstead and in 1929, the board dedicated bond funding to building a warehouse. The newest addition to the farmstead was completed in 1930. Upon Theodore Wirth’s departure from Minneapolis in 1945, ten years after his retirement, Doell succeeded Christian Bossen as superintendent of parks, and took up residence in the superintendent’s house in the park. Upon Doell’s retirement in 1959, the park board did not offer Doell’s successor, Howard Moore, the opportunity to live in the house. Some park commissioners at the time considered a house for the superintendent an elitist perk and wanted to consider other uses for the property, including offices. In April 1961, however, after the residence had sat empty for two years, the park board recommended that occupancy of the residence be extended to Moore on the same terms as Wirth and Doell, “recognizing the desirability,” it said, of having the superintendent living near the central warehouse, shops and greenhouses. Although the board approved the resolution, park commissioner George Todd, the business manager of a labor union, requested that proceedings show he voted “No” on the resolution. Succeeding superintendent’s Robert Ruhe, Charles Spears and David Fisher lived in the house until 1995. Fisher requested permission to live in a house of his own choosing, which the park board granted. 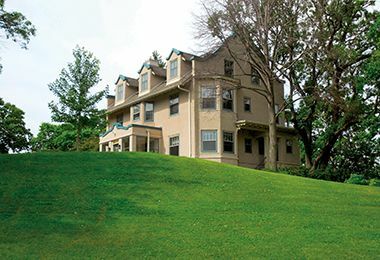 After David Fisher moved out of the superintendent’s house, the park board rented the building to the Minnesota Recreation and Parks Association for offices. In 2004, the park board took back the space for offices for its staff. 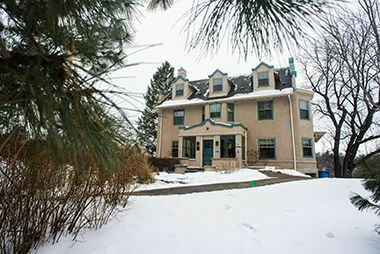 In 2008, The Foundation for Minneapolis Parks began using the former residence for its offices. Superintendent Jayne Miller leased the building as her residence from November 2010 through January 2018. 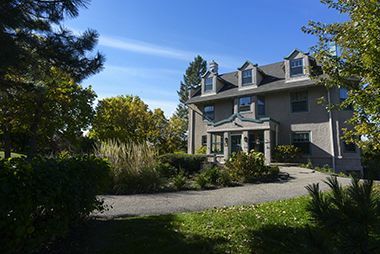 The Minneapolis Parks Legacy Society is providing public tours of the house from August through mid-December, 2018. Theodore Wirth Home and Administration Building was listed on the National Register of Historic Places on June 7, 2002. Located in Lyndale Farmstead Park. Past Superintendents had resided in the home, including Theodore Wirth. Current Superintendent, Jayne Miller, began leasing the building as her residence in 2010. Theodore Wirth, the longest-serving park superintendent, led the transformation of Minneapolis parks into a nationally renowned park system from his drafting room.